Being a musician in the 21st century, whether a budding artist or an established figure, means, almost without exception, harnessing the power of social media. One or two hundred years ago, a composer’s public persona would have been shaped largely by their actual physical appearances and social interactions during performances of their works in venues ranging from courtly spaces to public concerts or opera houses. Nowadays a composer’s creative persona must also occupy the virtual spaces of the internet. Maintaining an engaging social media profile seems indispensable in our fast-paced times of digital creativities. An online presence can serve a number of purposes, such as to disseminate creative output (compositions, performances, installations, and so on), manage and expand a fan base (with news and updates of forthcoming events and appearances), gauge audiences’ tastes and expectations (from likes/dislikes on posts), and maintain an active public persona that is closely in tune with the social media pulse of our times. Contemporary composers’ habits align closely with such needs for sustained social engagement. Below we take a closer look at one of this year’s music placements which involves managing social media for composition. The excerpts are by 3rd-year BMus undergraduate Katy Jackson, who is working alongside the composer Michael Price and his team. My placement so far has been incredibly rewarding, interesting and challenging. Six months have flown by really quickly! I work alongside the internationally renowned composer Michael Price and his creative team. Specifically, I work very closely with Michael’s social media manager and I oversee a large amount of Michael’s social media and branding. For instance, I monitor and update Facebook posts on a daily basis. But I also run four other brands that Michael has created and which needed to have a viable online presence. One of these brands is Contemplative Classical, which is a Spotify playlist dedicated to contemporary classical music. Initially, this brand did not have a Twitter, Instagram or active Facebook page, so I set all these up and have been curating them since. I am delighted to see how these sites have now grown into a vibrant community of followers and fans for contemporary classical artists. An aspect of my role is to collate and analyse data from the social media pages. I will then report back to Michael and his team, and subsequently implement those actions that best promote Michael’s creative output on social media. I was responsible for designing a streamlined e-template that captures the follower count at a weekly glance. This has been a very useful tool for visualising weekly patterns of consumer behaviour and monitoring change over time. My role has a distinctly creative flavour. 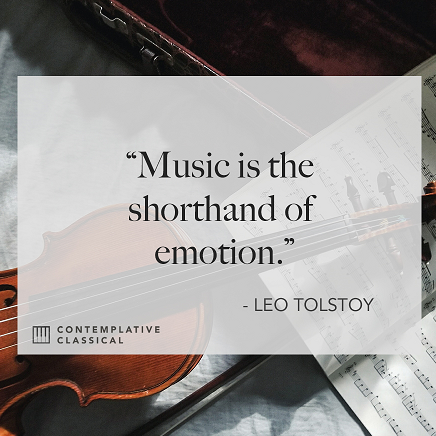 I also design inspirational quotes and images to accompany particular playlists of classical music (see example below). Deciding which picture best accompanies the inspirational quote, and how the combined image complements the actual music, means that I frequently have to tap into and trust my creative intuition. It is immensely satisfying, however, when people are actively engaging with the content I have created. This is something I can gauge directly from the number of followers or likes my posts get (see example of Instagram screenshot below). From this range of tasks, and through actively researching and applying new skills, I have been learning about good practices for social media sites. 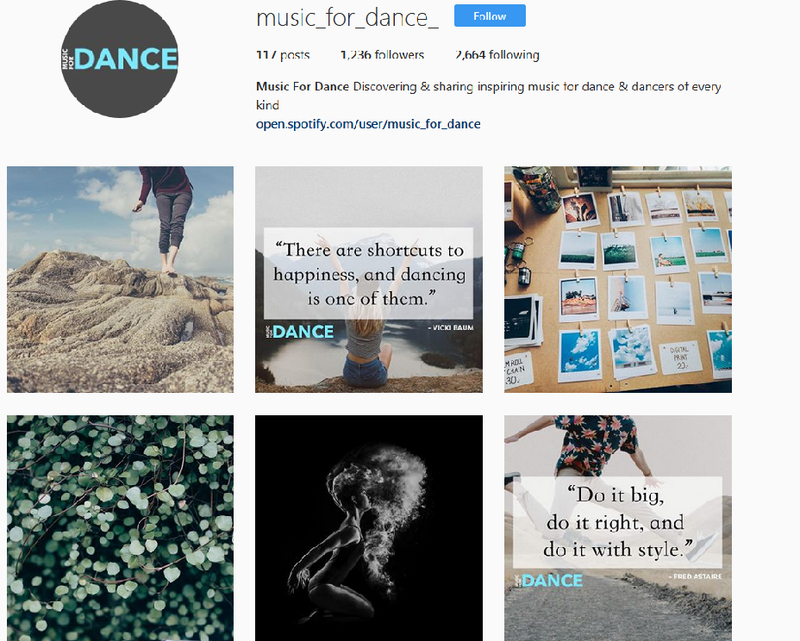 For example, how to design effective Facebook ads and get the best out of them, how to monitor closely public engagement, and how to pick the right music for various playlists to suit a particular genre or mood. I have no doubt that there will be more creative challenges over the next few months, but I am looking forward to the learning journey ahead. It is always both fascinating and rewarding to hear about music students’ enthusiastic accounts of their placement, such as Katy’s growing hands-on experience of how musical composition and social media intersect at the virtual crossroads of online creativity. From a Higher Education perspective, moreover, reflection offers us recourse to ensuring we keep providing learning opportunities for our music students to engage with contemporary contexts of music practices. For instance, facilitating students’ practical knowledge of how creative decisions in music making are always socially negotiated is achieved on the Surrey Music BMus Programme through collaborative composition and performance projects, as well as through modules in the historical, cultural, and ethnographic study of music as an agent of personal and social meaning.